Jurgen Klopp loves that he has a team full of ‘proper warriors’ available to him. The manager was discussing our ability to mix it physically when our superb football isn’t doing the job – as was partly the case on Saturday – when we beat an ultra-defensive Crystal Palace 4-3. And the boss cited James Milner’s bloody knees and his angry at getting sent off as evidence of the kind of characters we have right now. “These boys are ready to do that, they are real fighters. It’s a bunch of proper warriors – I love that. They all stick their leg in or whatever,” he told Liverpool’s website. In fairness, it was 100% a red-card and Milner won’t have been annoyed about the decision, but the fact he’s now suspended for the next match, against Leicester City on January 30th. 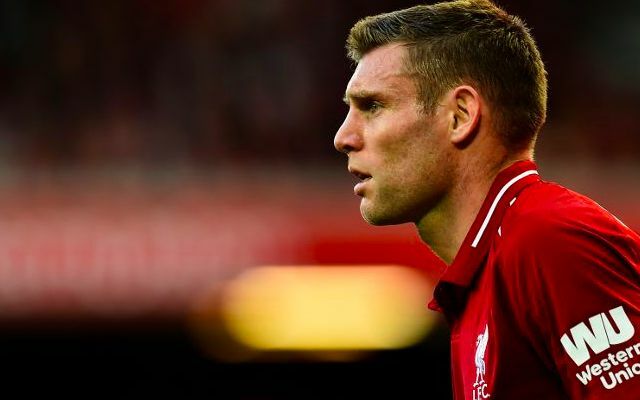 Without Milner, Klopp has a big decision to make regarding who’ll start at right-back. Trent Alexander-Arnold will be the first-choice, but the youngster will be touch and go to make it in time. Joe Gomez similarly is rated as a doubt to be fit for the clash, having last played in the 3-1 away victory against Burnley at the beginning of December. This leaves Fabinho, who left the field with a hamstring problem v Palace, and youngster Rafa Camacho, as our only options for the role.